Check out the cast photos below! 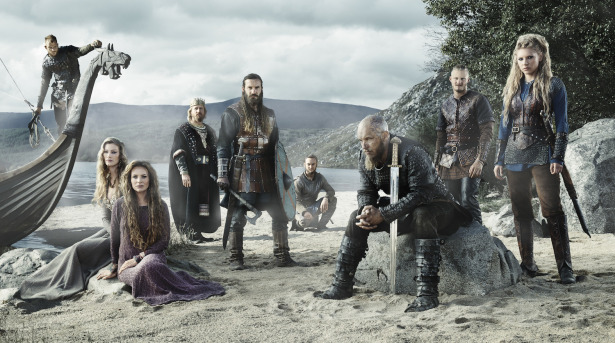 Season 3 brings back, of course, series leads Travis Fimmel and Katheryn Winnick, as well as Clive Standen (as Rollo), Alexander Ludwig (Bjorn), George Blagden (Athelstan), Jessalyn Gilsig (Siggy), Linus Roache (Ecbert), Gustaf Skarsgard (Floki) and Alyssa Sutherland (Queen Aslaug). New faces include Kevin Durand (The Strain) as Harbard, a wanderer who will have a profound effect on Queen Aslaug, Siggy and Helga, all of whom have had the same dream presaging his arrival in Kattagat; Lothaire Bluteau (The Tudors) and Morgane “daughter of Roman” Polanski as Emperor Charles of France and his daughter, Princess Gisla; and Ben Robson as Kalf, Lagertha’s young, secretly calculating second-in-command. Click HERE to check out the 3 teaser trailers telling us “The world is ours.”! Looks like “The world is ours” is going to be another great season! 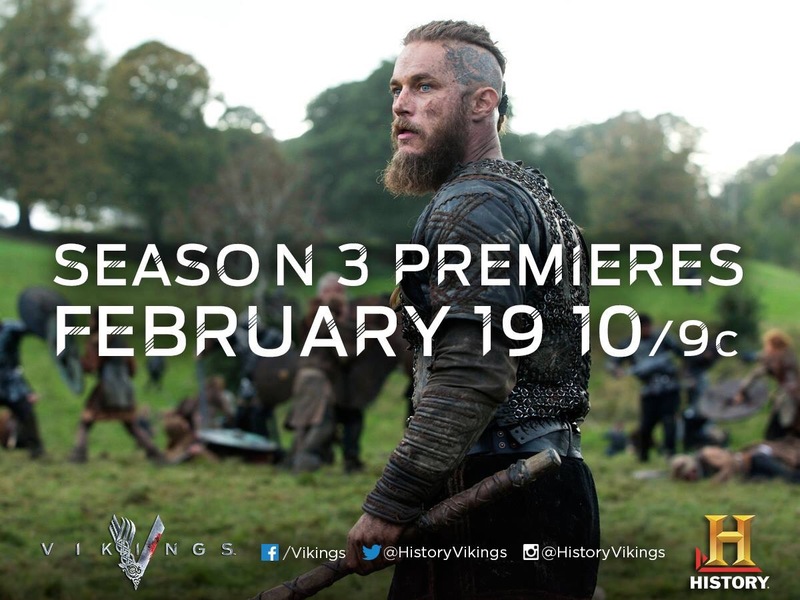 This entry was posted in News, Photos, Spoilers, Videos and tagged Alexander Ludwig, Clive Standen, George Blagden, Gustaf Skarsgard, history channel, Katheryn Winnick, news, Season 3, sneak peek, spoilers, teaser trailer, trailer, Travis Fimmel, Vikings, Vikings promo video, watch by Erika. Bookmark the permalink. I agree way to short,also it will cause people to loose interest in the series of which I pray that never happens but we have to look at reality that it could happen in the future. So I hope they will consider now making this a real possibility as soon as possible. I love Vikings and I will always be loyal even though it is a long wait.